Squeak is special to me. She’s my first real D&D character. She’s a bit of a goody-goody. I’ve realized that she’s actually a nicer person than I am. That’s probably not a good thing. 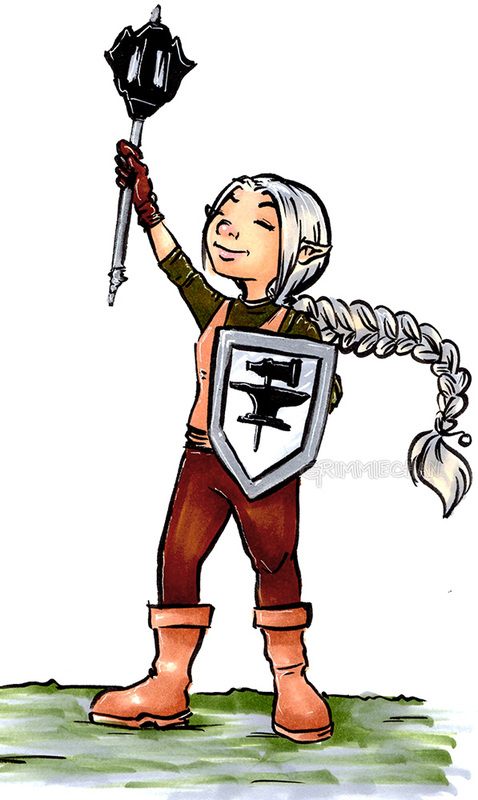 I wasn’t super interested in playing a Cleric initially, but I knew that it would be helpful in the long run. I’ve really started to enjoy playing her though.